All tea (white, green, oolong, black and pu-ehr) comes from the Camellia sinensis plant. It is hard to pinpoint a single origin of the first Camillia sinensis, but based on DNA, it is thought to have originated in the southwestern Chinese Province of Yunnan, 2.5 million years ago. Many ancient wild tea trees still grow deep in the mountains in altitudes greater than 6,500 feet and has been a primary crop for many indigenous peoples for centuries. Most teas that are found in the world have originated from the Chinese sinensis variety. It grows as bushes and trees and is indigenous to China and Japan. British took seeds from China in the 1800’s and planted them in India, not immediately realizing there were wild tea plants already growing in Assam. India's wild tea plant is called the Camillia assamica. It has larger leaves and can grow from a bush into a tall tree. Currently, tea plants grow worldwide and are either originated from a Camellia sinensis, Camillia assamica or hybrids originating from one or both. Tea bags became popular in the early 1900’s in the United States. Tea was expensive to ship by weight in wooden boxes, so a tea exporter started putting his tea in silk purses. The purses were mistaken for steeping devices and dunked in hot water. Voila! The tea bag was born! It is still the most popular way to brew tea in the United States. So why use loose leafed tea? Loose teas use the whole leaf while teabags use the fannings or dust from the leaves. Think the leftovers at the bottom of a cereal box. 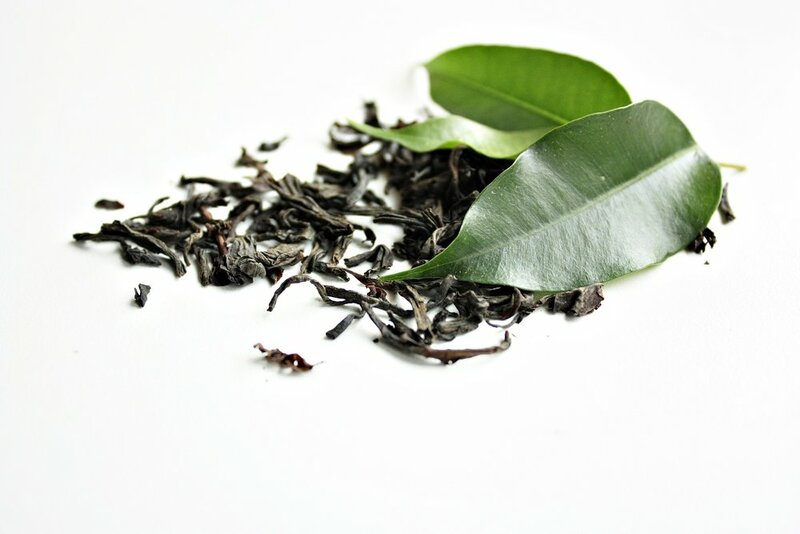 While whole leaf is the premium version of tea, the fannings are either taken from a lower grade tea or the bits that fall through a screen when the whole tea leaves are shaken. Consider breaking open a tea bag and comparing it to a loose-leaf tea. The appearance and smell will be quite different. 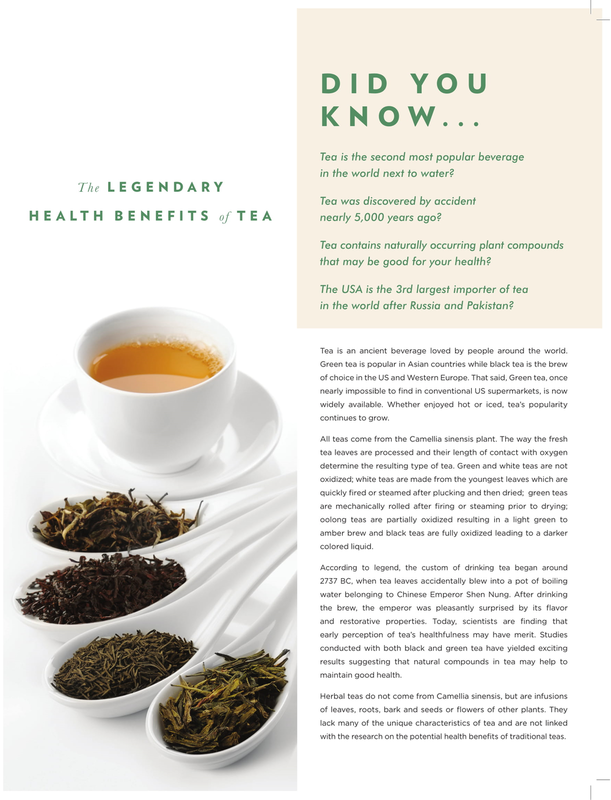 The health benefit and flavor of tea is also quite different. Infusing loose leaf tea in a wide mouth infuser allow the teas to dance in the water, releasing all its delicious flavor and antioxidants. Although tea bags have improved over the years, bags were bleached, leaving a toxic residue on the bags. Not all bags are biodegradable. The only benefit of a tea bag? Convenience, of course. Personally, the only time I’ll use teabags is when traveling. I will use the non-bleached biodegradable tea sac that I can put my own loose leafed tea in. That way I know it’s fresh, organic and delicious. Almost like getting the perks of flying 1st class without the price tag! All tea is best brewed loose leafed in the purest water available. Temperatures and time vary with tea depending on how much they are oxidized. The goal is to brew a delicious cup of tea while releasing all the goodness of health and flavor in that cup. Click the link below to find a general guide to get you started. Brewing iced tea is as simple as brewing the tea per instructions. Increase tea amount by 50%. For example, if the directions say use 1 teaspoon, use 1-1/2 teaspoons for iced tea. Fill infuser with tea as directed - Once steeped, pour over a full glass or pitcher of ice. As the ice melts, add more to your liking and enjoy! Measure 1 cup of dry loose tea (adjust amount of tea to suit your taste) Follow the brewing instructions on the package and add 8 cups of hot water. Let cool to warm, then strain into another container and refrigerate. Dilute 1 part concentrate to 2 parts water as needed. For example: ½ cup of concentrate to 1 cup of water. Serve over ice. This will make approximately 4 quarts or 2 gallons of finished tea. Similar to the old-fashioned way of making sun tea. Using a large gallon sized glass jar, put 8-10 rounded teaspoons of tea in a glass gallon jug, either loose or measure into 2-3 tea sacs. Fill the jug with cold water. Let steep overnight (at least 8 hours). Strain or remove the tea sacs. Serve over ice. This method requires less tea and produces a smooth, light, and refreshing iced tea. Green: Light simmer where tiny bubbles are just forming around the edge of the pot = about 180-185 degrees. Tea is Personal: Once you try the recommended steeping instructions, I invite you to play with the quantity of tea and the length of the steep time to find your desired brew strength. Use a wide mouth infuser to let your tea dance! Varying the water temperature isn’t recommended, as water that is too hot will over-extract the bitter components of tea, while water that is too cool might not fully draw out the aromas and flavors of tea. Always use the purest water possible. Studies show tea contains antioxidants in the form of tea polyphenols, including epigallocatechin gallate (EGCG), epigallocatechin (EGC), and others. In many studies, particularly with green tea, suggest polyphenols may prevent, or even reverse, certain types of cellular damage in the body by neutralizing free radicals. This action could mitigate degenerative conditions such as hypertension and certain cancers. Polyphenols are found in a wide variety of plant foods, including tea, red wine, dark chocolate, olive oil, and berries; all my favorites. So which tea is the best tea to drink? All tea that is clean! Stay Tuned! Content is coming soon!